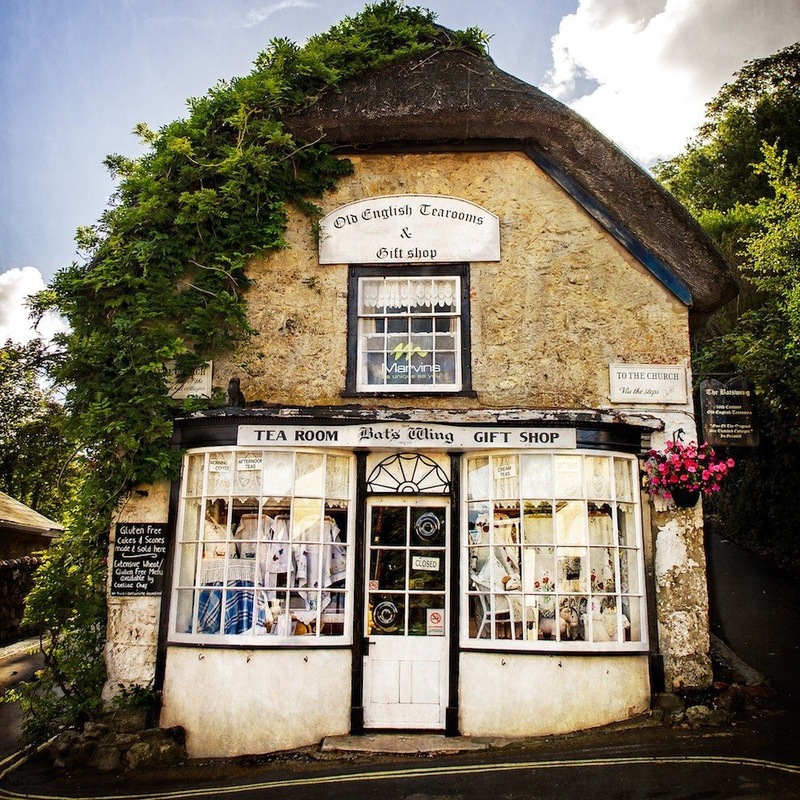 The world’s 15 oldest tea rooms: which one’s your cup of tea? Tea is the most widely consumed beverage in the world next to water. It is the only drink commonly served hot or iced, anytime, anywhere, for any occasion. And yet the tea-ceremony in Japan could not be further from Mumbai’s cutting chai. 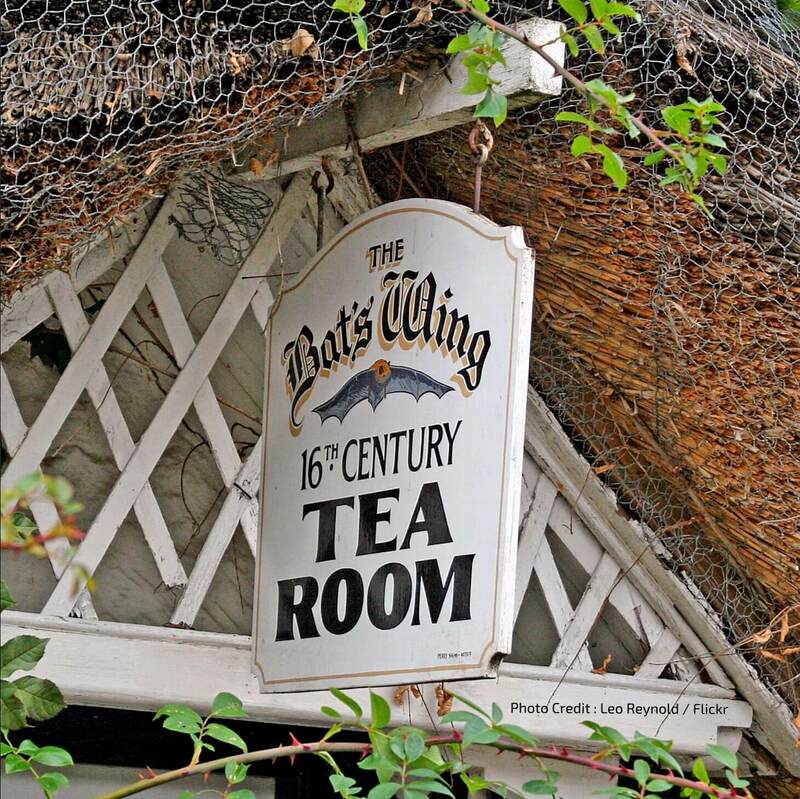 A tour of these 15 oldest tearooms in the world is a fascinating view of tea’s journey across time & borders. “Tea is just an excuse. Make tea, not war. Monty Python’s (rumoured) words echo my feelings. And during my research on the history of teapots for my other post – the eccentric teapot – I was fascinated by how tearooms change from country to country. Think about this for a minute, my fellow tea enthusiasts. 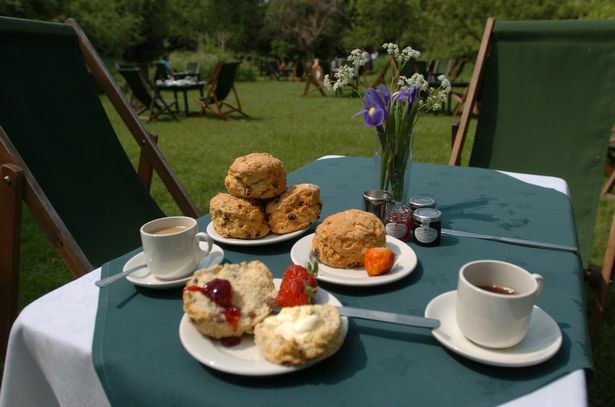 The oh-so-proper tea with scones and clotted cream in England could not be more different from a bunch of friends lingering for hours, chatting, laughing and smoking shisha in Egypt. Let’s sip a fine brew then and take a tour of 15 of the oldest tearooms in the world: from the most recent in Glasgow, Scotland to the oldest in Kyoto, Japan. The object of this exercise is to find places that are not just steeped in history but still operational and continuing to serve their own brand of vintage tea. Here’s to several adventures, vintage gems, love, life and all things spinning…..
A special thanks to one of my favourite instagrammers @fukuss who made the time to especially visit the Tea House by Firuzağa Mosque in Istanbul and take the pictures for this blog. What a wonderful gesture, especially in the spirit of a shared love for travel & tea. Gratitude Mr Cimok. Bought for a princely sum of 18 pounds, Lady Hopetoun set-up a small tea room for Victorian Ladies Work Association in 1892. The Hopetoun Room today is a fully restored block arcade and continues its proud tradition of quality tea service and fine food. It was from a diplomatic disaster that the great Perlov Tea House came into being. 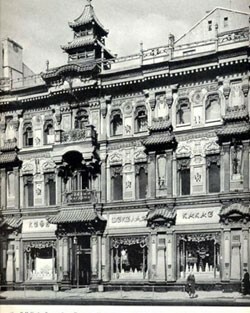 In the 1890’s a successful tea merchant Sergey Perlov built a tea house in bright colours with dragons and pagodas to appease a visiting Chinese ambassador, hoping to land a lucrative contract. But the ambassador never showed up, instead Muscovite’s took great fancy to this rather ‘odd’ building making it a huge success. Lin Heung Tea House is the one of the oldest operational tea houses in China. In 1926, they opened two more branches in Hong Kong one of which is in Central where I ate the super yummy moon cakes, which apparently Lin Heung pioneered for the Mid-Autumn Festival. Their tea service includes classic dim-sum which people line-up for in queues that can take hours. Turks have the highest per-capita consumption rates of tea in the world, about 1,000 cups a year. Perhaps because the locals prefer to meet and chat at a tea garden or a tea house rather than their own homes. Firuzağa Kahvesi being the oldest of them all. Tucked behind a 500-year old mosque, The fountain at the tea house bears inscriptions of three dates from the Hicri calendar that roughly correspond to mid-19th century and the owner of the tea house claims that his family’s been serving tea for generations here. I have to admit that Firuzağa Kahvesi’s history seems a bit ambiguous, so if someone knows better, I’d be grateful to learn. Probably the oldest teahouse in China, the Hi Xin Ting is situated in the middle of Yuyuan Garden. 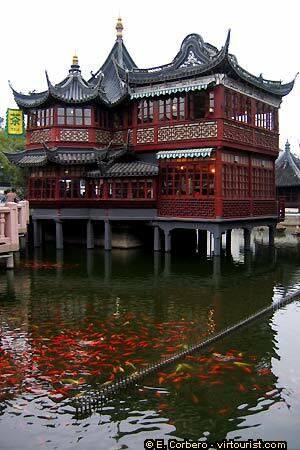 Its actually in a pavilion located in the middle of a lake which was built during the Ming Dynasty (1368-1644), however the tea house came to be only during Qing Dynasty in 1885.A two-storey structure in classical Chinese architectural style is an oasis of comfort in the midst of a bustling Shanghai! Jasmine and flower teas are the most popular here. Around 1660, two brothers – Nicolas and Pierre Marriage made several trips to Persia and India in search of exotic goods on behalf of the royal court of King Louis XIV and in the process found Tea. The tea trade started to boom in France and successive generations of the Mariage families continued to grow the enterprise. In 1854, the current Mariage Frères tea company was formed and with that came the Mariage Tea Salon. With the longest list of teas on the planet i.e. over 600 varieties, served in classical French panache, and a museum from the 19th century this Marais gem a tea-lovers paradise. I’ve spent many a winter afternoon, sitting by the window next to the fireplace with a perfect cuppa of tea in this glorious room at the Brown’s Hotel. Its one of my favourite places in the world and infact the inspiration to write this blog came when I was here last. What a noble thought, except it fades rather miserably to think that Ms Agatha Christie’s was also inspired to write her famous novel “At Bertram’s Hotel” sitting at the same corner table! Winner of several awards, the current interiors is a clever mix of tradition and modern. 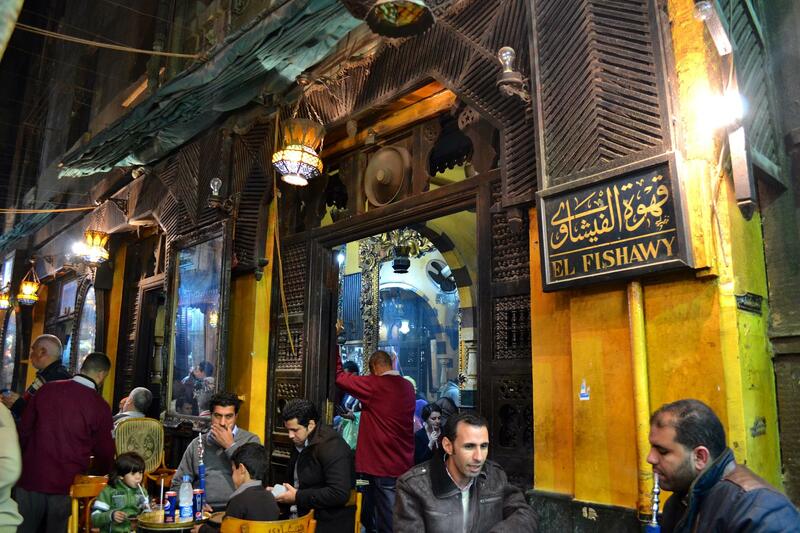 Open 24-hours a day, 12-months a year, Al Fishawy hasn’t closed its doors since it opened in 1773! With a history of over two centuries, this mirrored cafe is a respite from the ancient 14th-century Khan el Khalili bazaar. Men and women spend hours here, beneath cracked archways and tin lamps, drinking several cups of mint tea and smoking shisha in a room packed with wobbly tables and lots of laughter. At a time when there were few, if any, place where it was acceptable for women to be unescorted by a male, Mr Thomas Twiningred set-up The Strand. Not just for the women though … Mr Twining, who was a tea merchant by profession bought the space to serve tea as an alternative beverage to coffee, with a classy and high fashion service and immediately associated tea with style. How brilliant, I say! 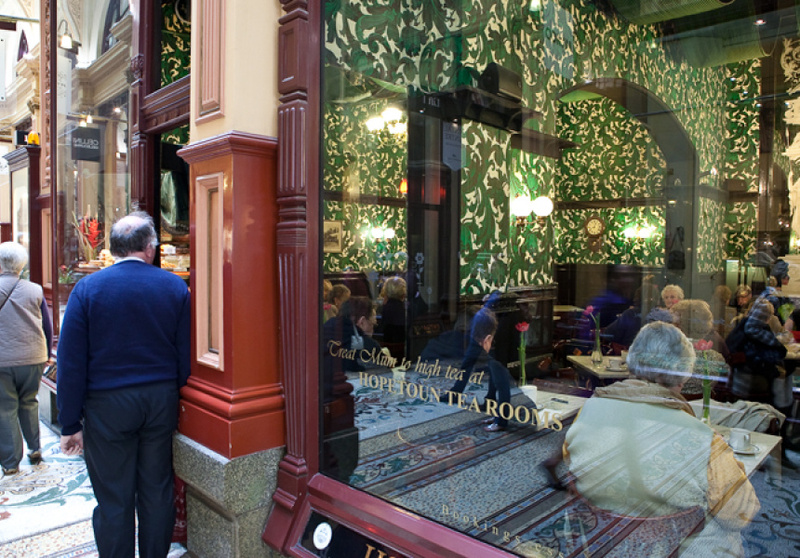 The Strand, is one of the oldest tea-rooms in London and Twinning an iconic tea. Double winner of the UK’s top Tea Place award, The Bridge Tea Room is picture perfect when it comes to vintage tea. Fitted out in Victorian style furniture, white linen and waitresses wearing victorian costume, this place is simple adorable. 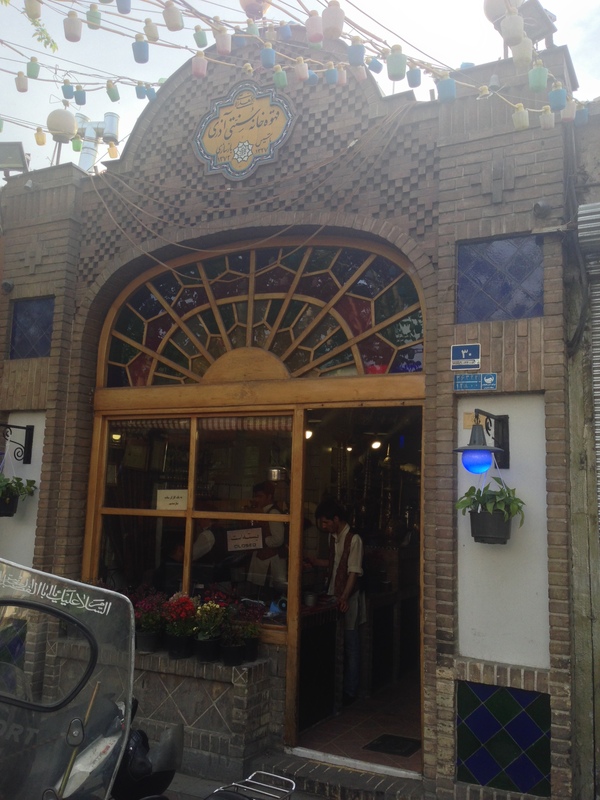 The Azari Tea House in Tehran is one of the most famous chaikhanehs (tea houses) and certainly the oldest known to locals and tourists. In Iran, a tea house was much more than a place of gathering over a cuppa tea – it was also a place where new art form was created the art of teahouse painting. Paintings typically illustrated religious and mythical themes, several of which are still on display at the historic Azari. Photo Credit (clockwise) : tsoannifootprints.com | Marayam B/Flickr | Samovar and painting pictures : Iran Review. When Furukawa Unai, a martial arts master and vassal of the famous samurai Minamoto no Yorimasa retired, he built a chashitsu (tea-house) on the eastern end of the Uji Bridge. Since then it has served travellers journeying to or from the capital, or along Yamato Road. The building which stands today was built in 1672, a beautiful example of machiya architecture, with deep eaves and a wide entrance with tea jars spanning several hundred years are lined up outside the shop. The Tsûen Tea shop is not just a space to have tea but also to enter a space that’s been around for 850 years and is as much about an aesthetic and intellectual fulfilment as it is about craving for tea!